Untitled: Art Meets Improv is a show that strives to merge the worlds of improv comedy and visual/studio arts into a unique collaborative experience. 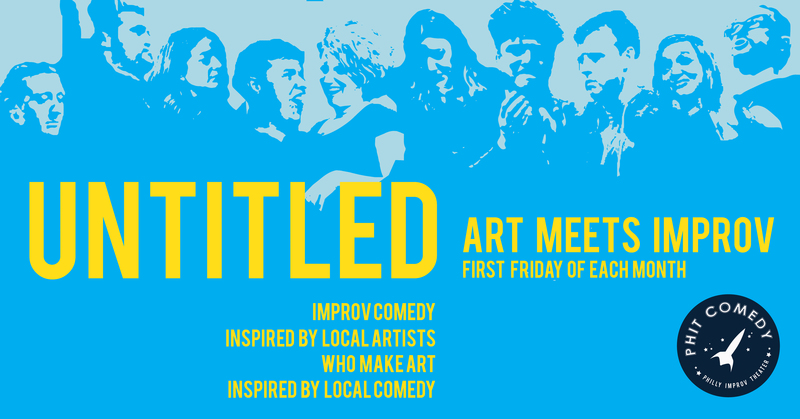 Local artists across many disciplines share their work with the cast to inspire an improv set. The artist is invited to create work during the show in response to what’s happening on stage. Rachel O’Hanlon-Rodriguez is a Philadelphia based actor, poet, dancer, and teaching artist. Trained as an actor, Rachel has spent the majority of her life focusing on theater. 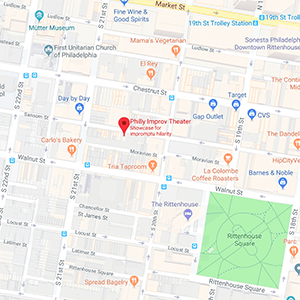 She has worked with a variety of local theater institutions as both a teacher and performer such as The Wilma Theatre, The Arden Theatre, Theatre Exile, Philadelphia Young Playwrights, Simpatico Theatre Company, Philadelphia Improv Theater, and the Painted Bride Art Center. She is a resident artist of Power Street Theatre Company, a womyn of color led organization committed to connecting communities through performance and story.